Every year in April more than1,400 hardy runners descend on the Sahara desert to run, walk or crawl the Marathon des Sables. This year between 5th and 15th April the first of seven marathons in six days will be run where competitors will endure temperatures of up to 50 degrees centigrade amid the unforgiving terrain in what is considered the toughest race on earth. Manchester musician and promoter Matt Hibbert, 40, from Didsbury, is one of those taking part. 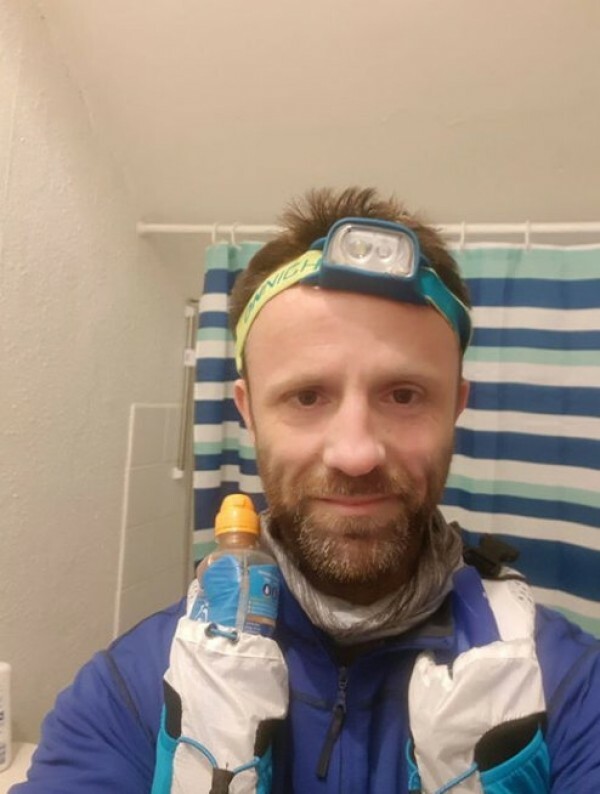 Matt, who is raising money for Hope for Children, has been running marathons for a couple of years and says this endeavour will be the pinnacle of his running career. Matt is a long-standing resident of Manchester's music scene, back in the days when his only exercise was running local music nights and sold-out gigs at the Ritz. This meant being in the midst of a hedonistic rock and roll lifestyle which saw him burning the candle at both ends, and in the middle. Having reflected on his wellbeing, he has decided to turn things around beginning with an overnight change of lifestyle – no drugs, booze or cigs. He has transformed himself into an endurance athlete ready to take on the most arduous of athletic adventures. The Marathon des Sables is not for ‘part-timers’. Founded in 1986, it was the brainchild of Frenchman Patrick Bauer (coincidently like Matt a former concert promoter) who having completed a dash across 200 miles of the Algerian Desert, decided to share his pain with others. At the start of the race AC/DC’s Highway to Hell is played at full volume, just in case the competitors are unsure as to their predicament. Matt Hibbert, having completed a 60 mile training run! The terrain takes runners across rocks and sand, shale and scrub, and along with their sleeping bags they are expected to take sun cream, snake venom pump, compass, penknife, salt tablets and distress flare. The rules are stringent and there are so many ways to get disqualified it’s a constant battle to check you’ve been following the race dos and don’ts. “It is a worry, but a week before the race when I wind down training I’ll spend a lot of time making sure I have everything sorted,” he said. But, what about more importantly 2000 calories a day? Despite the the fact that the race pushes human endurance to the limit there have been very few casualties. There was a fatality in 1988, and again 2007, and not everyone completes the course, but apart from the crippling blisters organisers are proud of their safety record. With an entrance fee of 3,500 euros per competitor Bauer has created something where, if suffering is your thing, you will most definitely get your money’s worth. Matt knows that 90% of the race will be in his head, but says he has no intention of quitting or finding himself among ‘Les Abandons’. In a week he is going to Formby to see how he gets on with trudging through sand dunes. He knows it won’t be the same but every element of preparation is key.